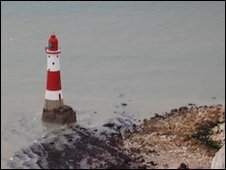 Beachy Head lighthouse in Sussex, along with four others around England, may soon be switched off under new proposals. BBC News investigates how modern technology has made these once-vital buildings redundant. For years it has helped guide weary fishermen home from a long day at sea. But the light at Eastbourne's Beachy Head lighthouse - and five others around England - may soon be turned off. Trinity House, the General Lighthouse Authority for England, Wales, the Channel Islands and Gibraltar, which owns most of the country's lighthouses, is consulting on proposals to stop using the historic buildings to guide sailors. Their experts believe the development of hi-tech aids has rendered them unnecessary. Most vessels, even smaller ones, now use satellite navigation systems like GPS and no longer rely on the beam from lighthouses. As well as Beachy Head, Orfordness in Suffolk, Blacknore Point in Somerset, Hartland Point in north Devon and Maryport in Cumbria, could also be switched off. Skokholm island lighthouse, off the south-west coast of Pembrokeshire in Wales, is also on the list. Trinity House's consultation ended on Friday, but a decision is not expected to be made until the spring. Steve Dunning, spokesman for Trinity House, stressed the move was not a cost-cutting exercise, but was part of a review of all its navigational aids, which included plans to increase the range of other lighthouses. "We have to recognise that technology is advancing," he said. "We understand that not everyone has got it and we also understand that the kit is not always reliable. "Our experts believe that the other aids for navigation in these areas adequately cover what needs to be done." Built on rocks next to the towering white cliffs near Eastbourne, Beachy Head's red and white striped lighthouse is one of the most famous in England. The current building - which replaced one built on the headland in 1828 - dates back to 1902. However, a light is believed to have beamed from the top of the cliffs since as early as 1670. We have all got navigation aids but it [the lighthouse] is still very useful as a mark, especially at night. 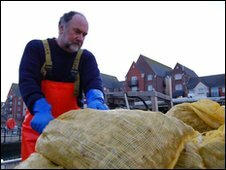 Eastbourne's fishermen, some of whom have worked alongside the lighthouse for up to 40 years, have mixed views on its future. Some agree that it is no longer needed, while others, like 64-year-old Peter Storey, feel strongly that it should stay. Mr Storey, who has been fishing in the area for 40 years, said: "We have all got navigation aids but it is still very useful as a mark, especially at night. "There are dangerous tides and there's a rocky ledge that runs out a mile off shore which is very shallow. "I do not think it should be switched off at all." 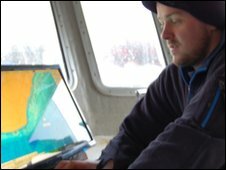 Scott Possnicker, 28, said: "For the smaller boats it will be safer to have it there because not all have GPS. "We have GPS but that could fail. It's the tradition of it going as well. I do not really use it on a day-to-day basis but if you did have a problem then you could use it." However, Graham Doswell, chairman of the Eastbourne Fishermen's Protection Society, said it "would not be the end of the world" if the lighthouse closed. "I think it would be a shame if they turn it off but I think it's more the point of view that it's a pleasing sight," he said. "It's more of a tourist attraction than a navigational aid for fishing." In the past, Trinity House has sold some of the lighthouses it no longer operates. Happisburgh Lighthouse in Norfolk was sold in 1988 and is now run independently. St Mary's Island lighthouse, north of Whitley Bay, closed in 1984 and was bought by North Tyneside Council and is now a museum and visitor centre. Mr Dunning stressed that no decision on the lighthouses had been made yet, and added that if they were to be sold, they would not necessarily go to the highest bidder, but to the most appropriate use. "We understand that lighthouses are part of the local community but they are primarily there to keep sailors safe at sea and if they are no longer needed for that we have to question their future status as an aid to navigation," he added. Lights to go out at Hartland Lighthouse?